Title: What The Moon BringsAuthor: H. P. LovecraftSummary: The narrator declares that he hates the moon and what it brings with its weird lighting. He then describes a beautiful landscape of garden, woods and ocean that he regularly enjoys during the summer but that has been entirely changed when the moon comes out. What was once magical and alluring turns decrepit and ugly. In particular, as he watches the ocean take the tide out he sees increasingly uglier things, until the rescinding sea begins to reveal a city of the dead with horrible and evil things that are enough to drive him mad. He promptly sticks his head into the water and drowns himself, letting the worms feast on his corpse. Why I Find It InterestingLike many other pieces, this short article reminds me of how much things don't change over the generations. First, the article is concerned about rates of success in mathematics; something we still struggle with in colleges. Then, of course, it raises the question about asking and engaging students about why they may or may not succeed in this area. We still struggle with relying on what we suspect as instructors to be the issue and hearing what students believe to be the problem. And then we also often look towards one solution as opposed to multiple solutions when trying to solve how to improve success in a singular area of study. 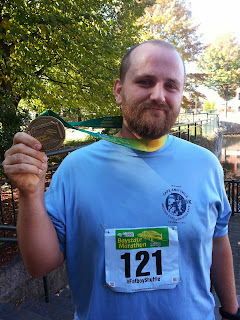 I find it curious to be writing this post when I have had trouble running for the last two months--ever since I ran 5K and came in around 24:30. But this post is necessary to write. It's been five years since I first start running. Five years since the flip switched and I went from hating running and unwilling to run even a mile to literally running thousands of miles in the last five years (between 1000 and 1200 a year). What seemed like something that I just couldn't get has now become something I hate the idea of doing without. Life is indeed funny like that. Title: The History of the NecronomiconAuthor: H. P. LovecraftSummary: The title says it all, this piece traces the history of the creation of and reproduction of the Necronomicon (also known as Al Azif) from its original creation by Abdul Alhazred, "a mad poet" to where the modern copies exist. The narrator explains that the book came about when Alhazred visits certain dark places like the ruins of Babylon and Memphis as well as spending ten years in the Arabian desert. He finally settled in Damascus to write the book. He then moves into explaining how different translations escaped, what some of the differences were and where the most current versions sit. Interestingly, the narrative part finishes on discussing how R. W. Chambers (a real author) was supposedly influenced by the rumors of the book when he wrote The King in Yellow (which talks about a fictional play in book form). The story then finished with a straight chronology of century changes for the book. So welcome to another new series of posts I will be embarking upon in this blog. These will be among the most simple but also the most useful for me. 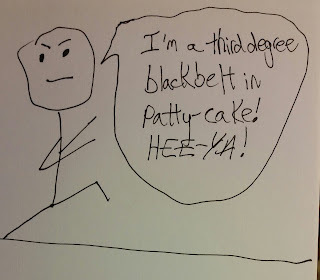 They are very simple stick-figure images or as I will call them, The Daily StickMan. Don't expect much from these in terms of heavy content. Rather, they are an opportunity for me to try my hand at simple daily creativity as just a means to get outside my own head. I have not clue how long this will last. I hope it will go on for a while, but I really don't know. Why I Find It InterestingOne of the earliest images in this project looked at a Bonwit, Teller, & Co image and this one is in a similar vein in terms of its content. Again, the imagery surrounding the ad is striking in terms of the representation of elite white women being wooed by elite white men with cupid smack-dab in the middle, while the entire scene is held up by either Africans, Middle-Eastern or Southeast Asian workers. It's such a strong message about how the Bonwit Teller & Co as well as the society at large view race. I know this was fairly common for the time, but it is striking to how clear of a message such an image communicates about the nature of race in American society. Another month and so much to be grateful for. I thought for this post though, I would focus on one thing in particular. For those that don't know, I left North Shore Community College at the end of July for a new position at Regis College. It was a hard decision but the right decision. 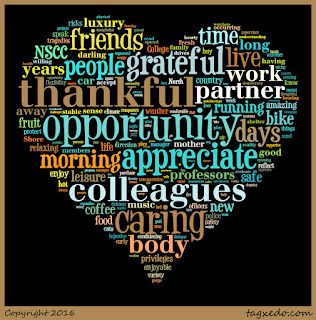 So I want to spend this reflection thinking about how grateful I am to the many people at NSCC that have made so much difference in my life. Why I Find It InterestingIt's fascinating to see what shows up in early ads and in this case, "Lady Sealpax" has "Athletic Underwear for Women--Just like brother wears!". I'm impressed with the aspirations towards being like men (though not in the sense that it is applauding the male idea, but just in the idea that it is saying women can be more than feminine). I'm also curious how long this particular campaign--women as equal to men--stayed the norm for Sealpax after World War I ended and in which publications such ads were effective. I'm dubious that such a campaign was as effective in Ladies Home Journal as it might be in this women's college newspaper, wherein readers might actually participate in sports. 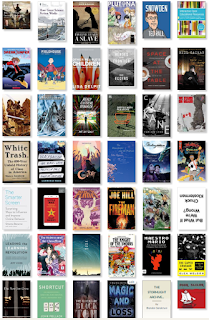 July appeared to be a decent month for reading with twenty-one books under my belt. Not bad considered I've been reading and writing so much to wrap up my course work. There were a lot of great books to talk about but unfortunately, many of those I am reviewing so I may have to come back to them. Regardless, there are definitely a few others that are worth talking about this month. As a colleague said, this is one of those books that becomes an essential text of certain academic fields and often quoted but rarely read. I read it and can understand its value though as the product of an academic culture that has strongly internalized the ideas that he sets forth meant that the book didn't necessarily strike me as impressive as it appears to have been at the time.